Harness the power of smart technology to solve irritations and inefficiencies, both big and small, all around your home. You live and learn—theoretically. But I’ve lived in my creaky old house for nearly 20 years, and I still haven’t mastered all its frustrating quirks. There is, however, one lesson that I absorbed early in my tenure here: Always turn the light on in the entry hall when going out for the day. Why? For some obscure reason that may have made sense to the builder (or previous owner), or perhaps for no real reason at all, there’s no light switch near the front door. That means that if I return after dark, I have to walk a dozen timid paces through the pitch-black foyer, risking life and limb along the way, before reaching the switch on the far wall. Hence, my simple workaround—just turn the light on before leaving. Unfortunately, experience has proven that, at least for me, it’s not so easy remembering to do that. Time after time, preoccupied with where I’m going and what I’ll be doing, I get into the car, turn on the engine, exit the driveway, and proceed down the block. Then, as I pull up to the stop sign at the corner, I suddenly seize the steering wheel and ask myself, “Sarah, did you leave the light on?” I occasionally remember having done so, but much more often I’m not really sure. When there’s time, I drive back home to double-check, cursing myself for being so absentminded. If I’m running late, though, I have to drive on, cursing myself for the same reason. Why am I telling you this? Well, if what I’m describing sounds at all familiar, you may be interested to learn how I finally put this problem to rest. Spoiler: It wasn’t by pinning a note-to-self on the door (already tried that). The solution: Home automation. It’s a hot topic these days, with many calling it the wave of future. Who knows? I’ve always harbored mixed feelings about the rise of digital devices in our lives, and I certainly never envisioned that smart-home technology would be of use to me personally. As I learned more about it, however, I discovered that the phrase “smart home” can mean very different things to different people. 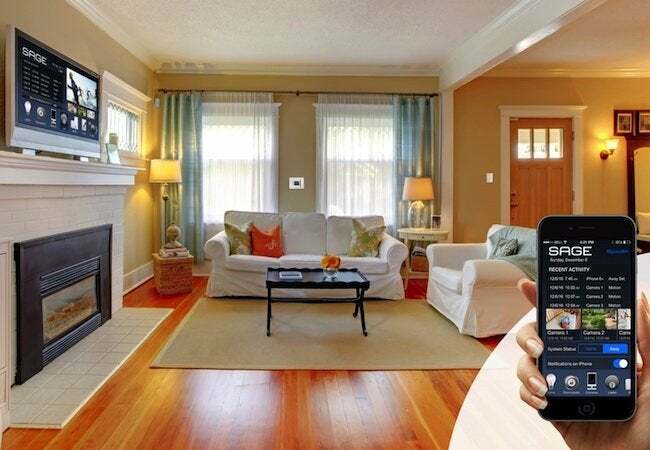 Some appreciate technology for its own sake and would embrace home automation whether or not it was truly practical. Others—me, for instance—appreciate technology only for its problem solving. What made me a believer? It wasn’t that automation magically made me remember to leave on the light. It’s that now, thanks to SAGE by Hughes, I no longer need to remember. 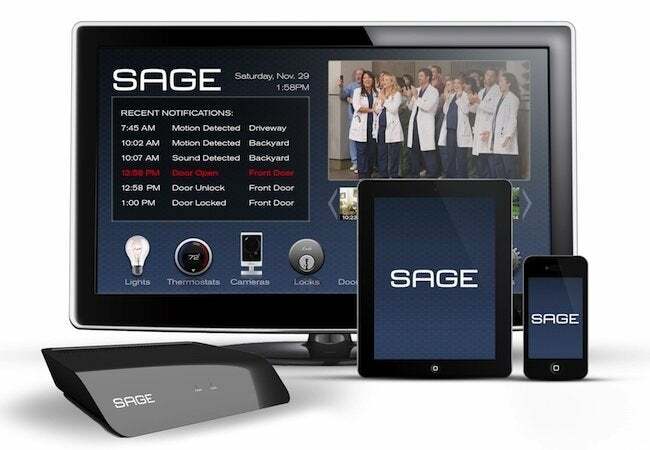 Brand-new SAGE by Hughes encompasses a suite of easy-to-use home automation and security products. 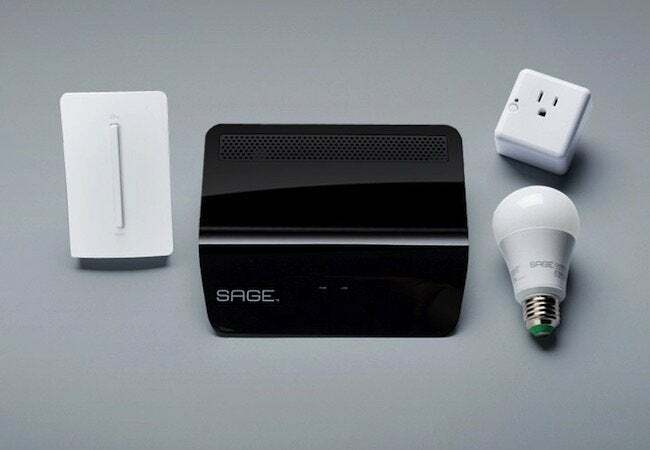 In contrast to many of the expensive, elaborate whole-home systems that are out there, SAGE offers a modular solution, which means that you can choose the components you really want and ignore all the others. The modular system design also means that if in the future you decide to change or add onto the system, SAGE makes it easy to do so. The system can even move with you when you relocate to a new home. SAGE works with you, so you can use the technology to create your own personalized solutions. And that’s just what I did—after opting for the SAGE Automation Kit, I set out to settle my long, highly irritating struggle with the hall light. Surprisingly, after all those years of cursing that hall light, solving the problem ended up being pretty painless! In any SAGE setup, no matter where you install the components or how you plan to use them, there’s one central piece—the hub. The heart of the system, the hub connects to your TV, which in turn becomes the command center where you configure and monitor the SAGE system. (If you choose to download the free SAGE app to your smartphone or tablet, you can also interface with the system whenever you want, wherever you may be.) Once I had the hub plugged in, I moved on to installing the SAGE Light Switch (the video instructions were nice to have, but not vital). Finally, I swapped out the standard bulb in the hall light fixture and screwed in the Internet-enabled LED Light Bulb. All told, the setup took only about 20 minutes. With the hub, switch, and bulb taken care of, I sat next to the television and, following the intuitive prompts, used the SAGE remote control to sync up the Light Switch and bulb with the hub. Excited now, and a bit curious, I pulled out my smartphone, opened the SAGE app, and inspected the menu. A tap or two later, and I was turning the bulb on, then off again. A few more taps, and I was adjusting the brightness of the bulb. I walked out to the driveway and tried again—success! Whereas it used to drive me bonkers, I now go days at a time without even thinking about the hall light. If it does happen to cross my mind, it’s only because I’ve pulled into the driveway at night and found that, sure enough, there’s a light on in the foyer, welcoming me home. In addition, I enjoy the comfort of knowing that if there’s ever a change of plan, no matter where I am—under the covers in bed or at my desk at the office—I can always pull out my smartphone to turn the lights on or off remotely, with just a tap. I’m even thinking about expanding my system to include switches and bulbs in every room, and possibly even incorporate the Deadbolt Lock. That way, I could make the lights in, say, the kitchen, den, and bedroom all turn on instantly and automatically the moment I unlock the door. Pretty cool, no? I haven’t gotten that far yet. For the moment, I’m still experimenting with the SAGE Automation Kit, which, alongside the Light Switch and LED bulb, also includes the Appliance Switch. Any appliance that I plug into this clever device can be remote-controlled via the SAGE app (or through the TV in my living room). At least for now, rather than pairing the switch with a single appliance, I’ve been using it for a range of different purposes. Recently, I connected it to the slow cooker in my kitchen and, after putting in all the ingredients, left for work. If I’d begun cooking right then and there, the meal would have been overcooked by the time I got home. By starting the cooker around noon, from miles away, simply with a tap in the SAGE app, I was able to ensure a delicious dinner, cooked to perfection. 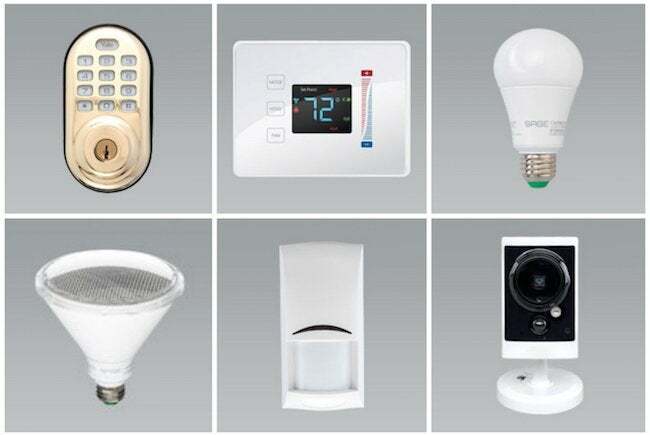 You can view and purchase the full line of home automation and security solutions at SAGEbyHughes.com. Besides being a storefront, the website provides access to customer service, an array of instructional videos, and helpful advice in plain English on how to get the most utility out of the kits or individual components you ultimately choose. The ordering process isn’t complicated—like the products themselves, it’s all very intuitive and seamless. As you browse, go ahead and consider your life at home and the often irritating hassles we all encounter every day, sometimes multiple times a day. Does the new world of automation offer a solution to these annoyances? Maybe, like me, you’re going to find that the little problems and inefficiencies that once seemed inevitable are simply no match for the best of digital technology.